I can’t tell you how excited I get each month for our tea tasting with the Lake Missoula Tea Company. It has been an extraordinary experience each month, tasting teas from around the world- learning about their origins and benefits. We are so lucky to have the LMTC right here in town! 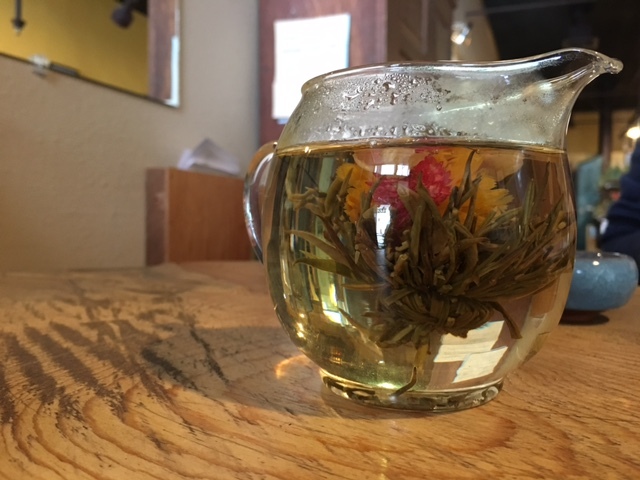 We sat with tea-tended Lauren and tasted a flowering tea called “Double Happiness”…This is actually not a botanical tea, but a green tea and is hand tied with Chrysanthemum. Why is Chrysanthemum so awesome? Let me tell you why…It can help clear the mind, can help with headaches and even adds a little sweetness. It was a very light, delicate tasting tea with no bitterness. Also smelled wonderful, too. Double Happiness is a performance tea- which means it is meant to be shared with friends. 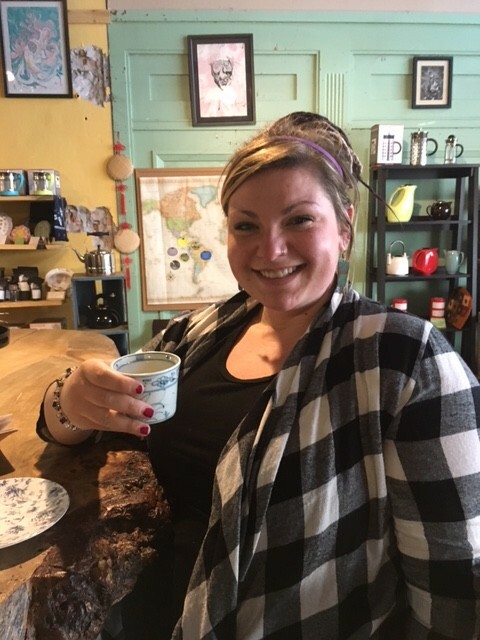 So next time you’ve got people over to your house, impress them with the Double Happiness tea from Lake Missoula Tea Company! 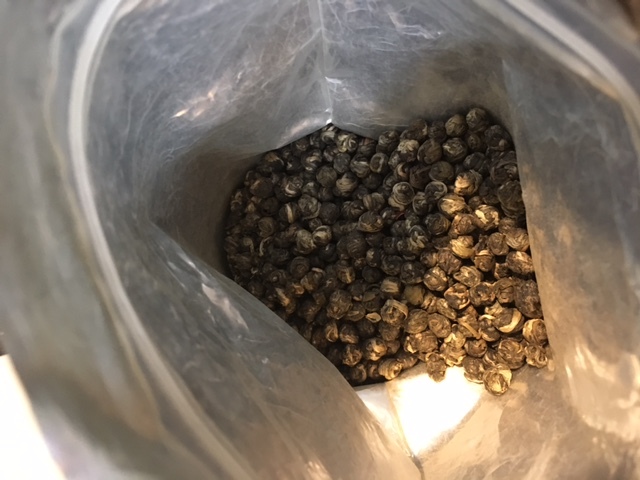 The next tea we tasted was Jasmine Pearls, a green tea with an AMAZING floral scent and flavor. It is a higher end tea from China that is brewed for 3 minutes. 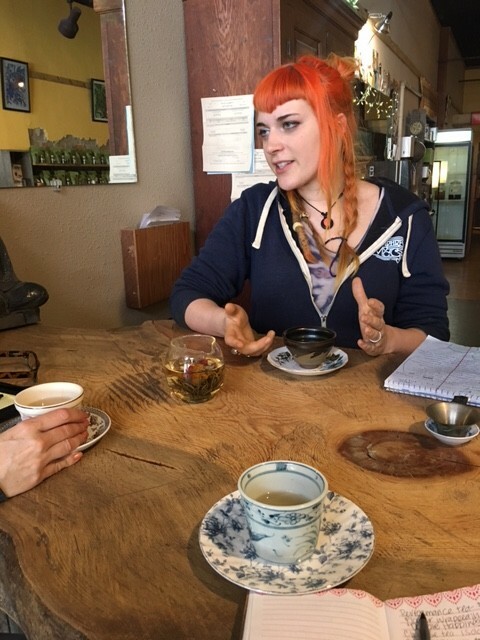 The final tea we tasted was something I was extremely excited about as a soon-to-be-mamma…It is called Belly Tea! Is is a soothing house blend with raspberry leaf, spearmint, rose and lemongrass. These have all been used for thousands of years in women’s health. Not only did it taste amazing, it had really great benefits as well. Belly Tea is great for cramps, labor & delivery, protecting your stomach lining…Basically, all that great stuff us women have to go through, whether it’s monthly or a one-in-a-lifetime type of situation…This Belly Tea is amazing. A tasty, sweet, honey-esque, decaffeinated herbal tea perfect for this mama-to-be. I have incorporated the Belly Tea into my tea-drinking habits, and I have to say it has been a wonderful addition.